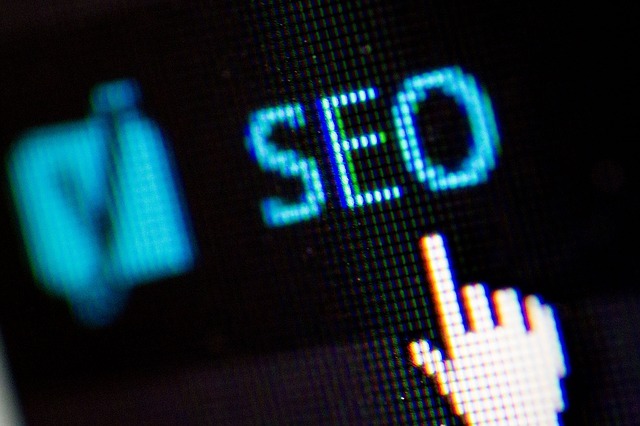 Why Should You Focus on Building an SEO-Friendly Website? Find the Secret to Business Success! Running an online based business has become a common thing these days. The online world gives immense opportunities for financial activities to the business owners. Search Engine Optimization helps businesses to grow with precision. It gives the right platform to the companies so that they can gain more exposure among the targeted group of audiences. Now, to start with online based business, it is imperative to have a good website. The website must be well designed, embellished with all essential features as well as options that support seamless web navigation. It is essential to make the website SEO friendly. That will surely fetch a lot of benefits. The benefits shall be analyzed first in the following section of this article. When you are thinking about launching your business website or starting a business through a website, you need to understand the benefits of developing an SEO friendly website. Building SEO friendly website has many advantages, and those advantages are required to be understood carefully. It is essential to develop sites as per guidelines for search engines, especially Google.com. Following Google’s instructions for web development is known as designing SEO friendly website. Apart from designing the website, it is important to add quality contents to the site. The uniqueness of content is a priority. Apart from these, developers need to perform some on-page optimization tricks. The overall benefits of search engine optimization for the businesses are described in the following section of this piece of writing. With SEO friendly website, your expenses for managing SEO campaigns will be reduced significantly. To manage SEO campaigns, people make a lot of investments. They put a lot of time as well as money to achieve the right business marketing results. Sadly, they cannot achieve the right results without making heavy expenses. Your expenses will be reduced significantly if your website is created to attain obvious SEO benefits. If your site is search engine friendly, you would require creating a lesser number of backlinks for the web-based business. Webmasters often say that SEO is a long-term process. You have to invest money and efforts on a long term basis to achieve desired results for your business through SEO. Getting quicker SEO result is not a myth, but a reality when your website has been designed correctly. Most of the sites are not designed by following search engine guidelines. As a result, they compete to gain quick results regarding clinching ranks at the first page of search results of Google against some specific keywords. The process of getting high ranks in Google will be seamless and quicker when the website has been designed by following SEO guidelines. A search engine like Google sets website development guidelines after studying and analyzing the needs or wants or preferences of various website visitors. Google collects data meticulously, and it has the best brains to decode the collected data. This is the reason why Google analysis is so accurate today. When you embrace the guidelines of search engines for creating a website, you are making a site that will deliver a better experience to visitors. The visitors on your website shall find it quite convenient to navigate. Developing SEO friendly website signifies helping the site to reach more web visitors. As a result, your web-based business will get popular within a short span of time. A small business owner would want nothing more than this. Quicken recognition of the business and steady growth in brand value will help the business to become more profitable. With better profitability, your company shall attain better stability and long-term sustainability. With SEO friendly website optimum business growth is inevitable. Everyone wants businesses to grow in step by step manner. This is why they have to plan SEO strategies carefully. With tactical SEO approach, it is possible to give a better recognition and brand value to the businesses. For maintaining the good reputation of a business and to fetch more visitors to the website, you need to put efforts in on the page and off page SEO. On-page SEO is mostly neglected. Why do you neglect it? The simple answer is that we have lesser knowledge of it. Basically on page SEO is the most important thing. You need to find out suitable keywords for your business. You need to incorporate those keywords tactical to your website contents. The content must be informative and free of redundancy. Most importantly, the contents should be well researched. If you do not research well on the contents, you shall fail to gain better business exposure. The website should be optimized with keywords so that it gets more SEO friendly. Guest article written by: Travis Nichols is the author of this article, and he is an experienced webmaster. With his knowledge and experience in SEO sector, he furnishes quality information regarding digital marketing. Previous post: Quality Assurance tools for small businesses – Why software companies should use one?